The use of galaxy note II can be seen largely these days. 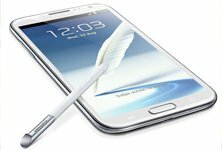 Since many are unaware of the technicalities that are used in the gadgets these days, some of the online tutorials can be of great guide while you are looking to install games and apps to SD card in Galaxy Note II. Thus the internal and the external memories of the Galaxy note II can be exchanged. It’s also similar to Galaxy S3 just because of accessories of both phones are almost same and fundas Galaxy S3 and Note 2 is nearly similar. It is necessary to learn the process as default settings are unavailable. This hardly takes few minutes. You can follow the steps given below to install games and apps to SD card in Galaxy Note 2. So you need a rooted Galaxy Note II with CWM installed. Once you have rooted you can proceed further. You also need a Micro SD card of minimum class 4. To get started you need to set up few things. You need to download AOSP Kernel if you are on an AOSP ROM. Once the download is complete you can transfer the file to the Internal Memory or to the External Memory of your Galaxy Note 2, whichever is your choice. Now hold Vol Up and Home and Power together till your Galaxy Note 2 reboots. Once the rebooting is over you would see Samsung Galaxy Note 2 displays on monitor. At this instance you can leave the keys that you are pressing. Nest you would perceive CWM Recovery. Select Install Zip from SD Card option and take the helm to the file downloaded and saved initially before starting up. Then click on the power to Install and choose the yes option to get started with the installation process. In the next step you are required to go back and click on the option of reboot system. Then in the apps store check the new app STweaks. If access is prompted then permit it. According to the format of Micro SD card you would either get ExFAT as Internal or FAT32 as Internal. So check for the formatting of the SD card to get a clear idea of it. Then hold the Power button and Reboot the Galaxy Note 2. Once this step is complete the memories are changed and you can now Install Games and Apps to SD. The same process has to be repeated for each individual game and app. So make sure that you use class 4 Micro SD. Just follow the instructions and make sure that you check the storage of the game before and after the installation. If you are given an option in the game and the app to download data to external SD then you can plainly accept and go ahead directly without any problem. So this helps you to download straight to external SD. Anybody can install Games and Apps to SD Card in Galaxy Note 2 following these steps. You can also search on the market about fundas Galaxy Note 2 or accessories of the phone and those are also available in online. It is simple and easy. All you need is to understand it clearly and then get started. Alex Byrnes is a professional web blogger and is interested in enhancing his blogs. For this he has researched the tech world and gives some tips on mobile technology.